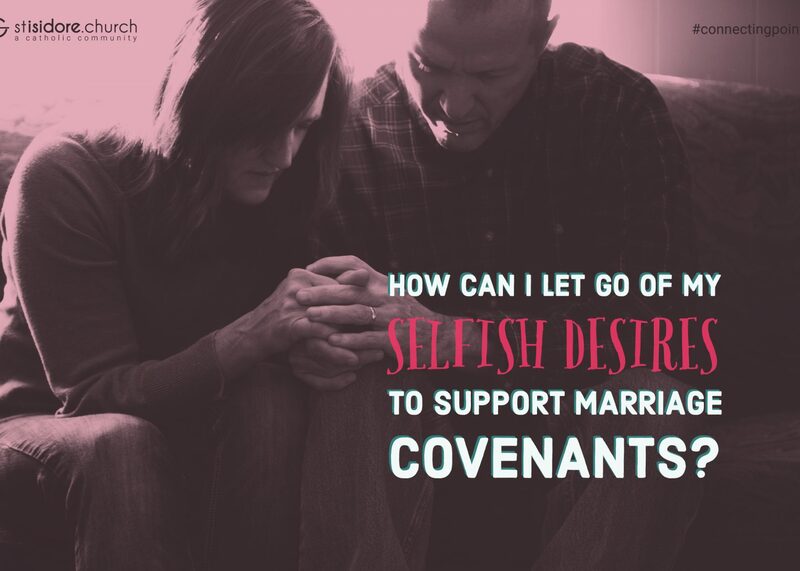 How can I let go of my selfish desires to support marriage covenants? The Scripture this week allows for reflection on the beauty of the covenant between Adam and Eve and on the Sacrament of marriage. My wife and I will be celebrating four years of marriage on October 11th. The love I have found in my marriage with Bernadette is difficult to explain. Our marriage is based on our love for Christ and an avid commitment to one another. That individual commitment is a reflection in itself of God’s love; both in our Love for one another and the Love for the Church. The joys we have found in marriage are truly a gift from God. What’s unfortunate, but a reality, is that sometimes marriage becomes a struggle. In our marriage when we have our valleys, we discuss things and try to see issues from each other’s perspective. We turn to our dear friends and ask them for support. Finally, and most importantly, we pray together and ask for guidance. My prayer today is for all marriages, old, new and those that God plans for in the future to enjoy the happiness and love We have found.